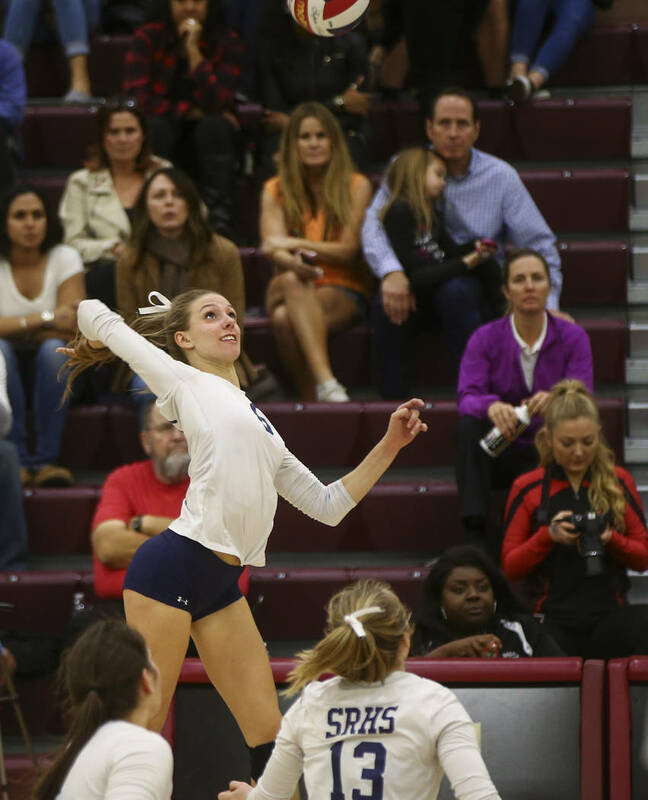 Whittnee Nihipali’s jump serve helped Shadow Ridge’s girls volleyball team rally from a five-point deficit in the fifth set and earn a 25-23, 25-27, 25-23, 23-25, 15-13 victory over Coronado in a state semifinal at Faith Lutheran on Friday. 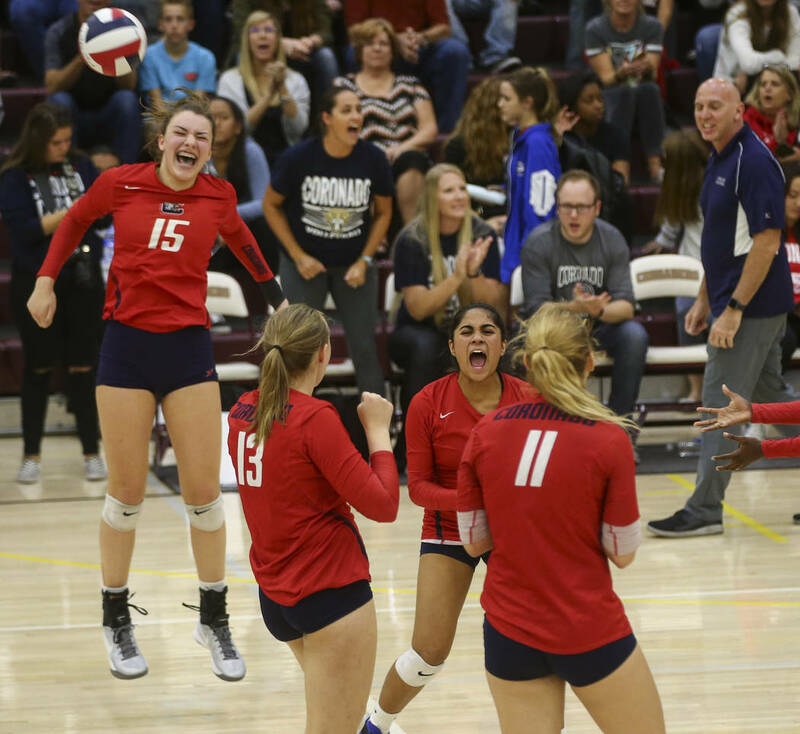 There could only be one winner in the opening match of the Class 4A state girls volleyball semifinal Friday night. 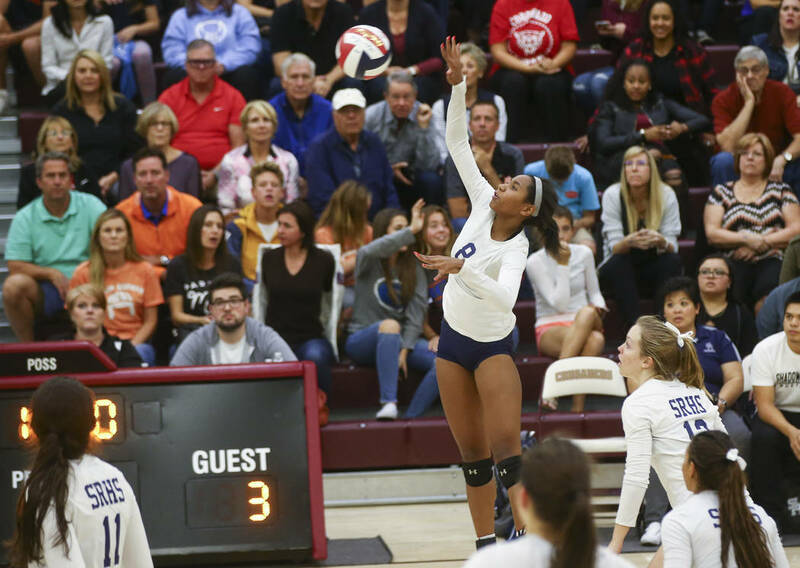 Whittnee Nihipali decided it would be Shadow Ridge. 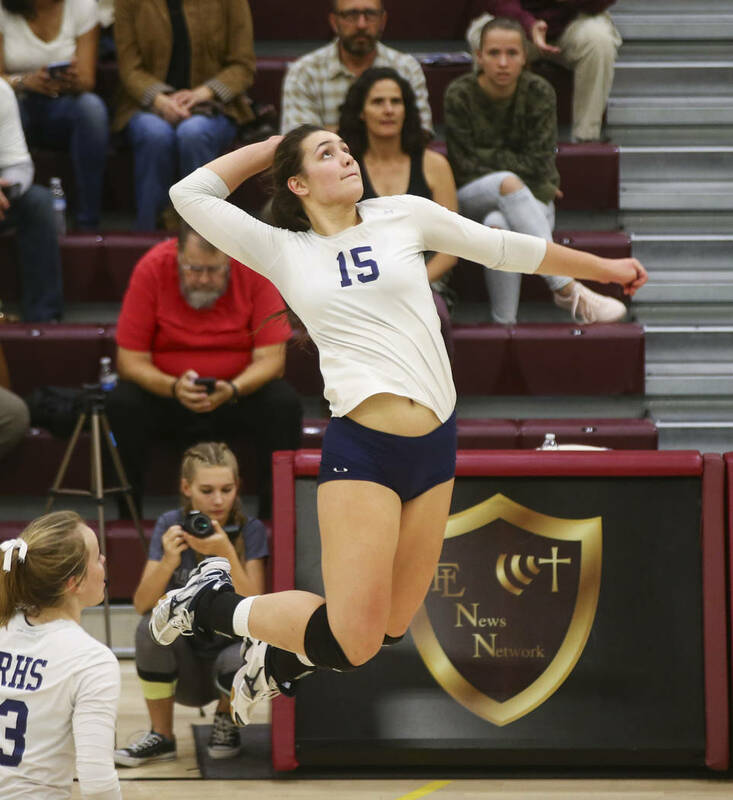 Nihipali’s jump serve helped the Mustangs rally from a five-point deficit in the fifth set and earn a 25-23, 25-27, 25-23, 23-25, 15-13 victory over Sunrise Region champion Coronado in a 2-hour, 6-minute marathon at Faith Lutheran. 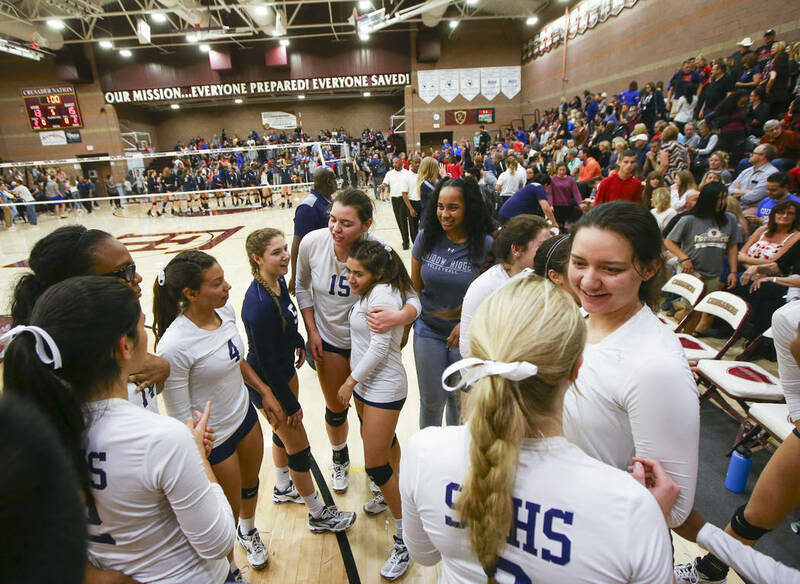 Shadow Ridge (30-11) will face defending champion Bishop Gorman (30-10) in the state final at 2 p.m. Saturday. 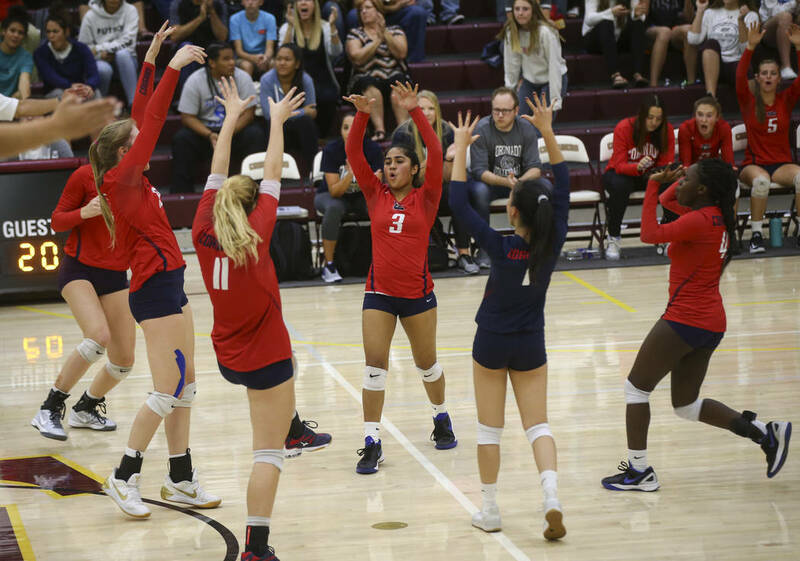 That is because, in large part, of the Arizona-bound Nihipali, who served four straight points, including two aces, in the decisive fifth set. 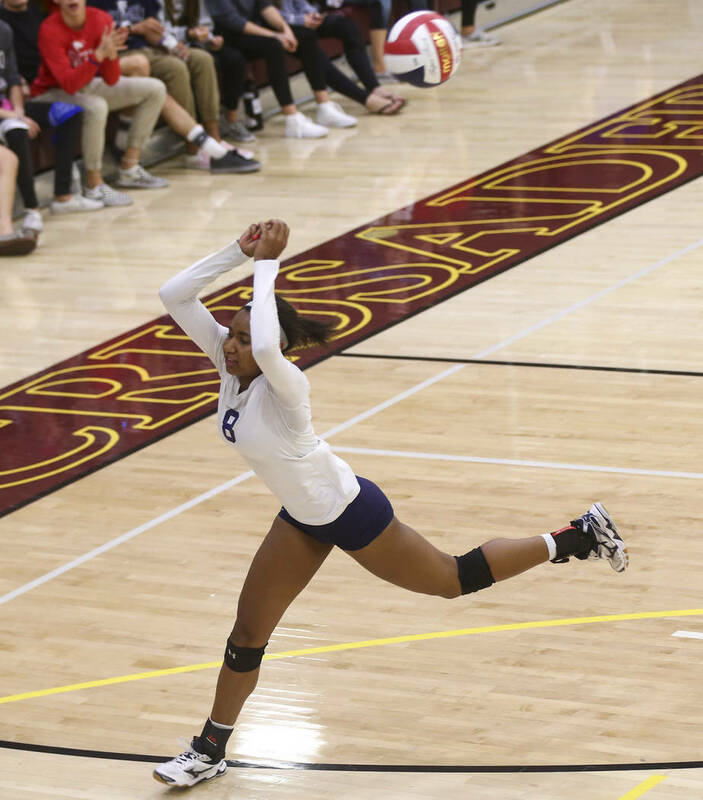 With her team trailing 9-4, Nihipali put down one of her game-high 28 kills to earn a sideout before approaching the back line. 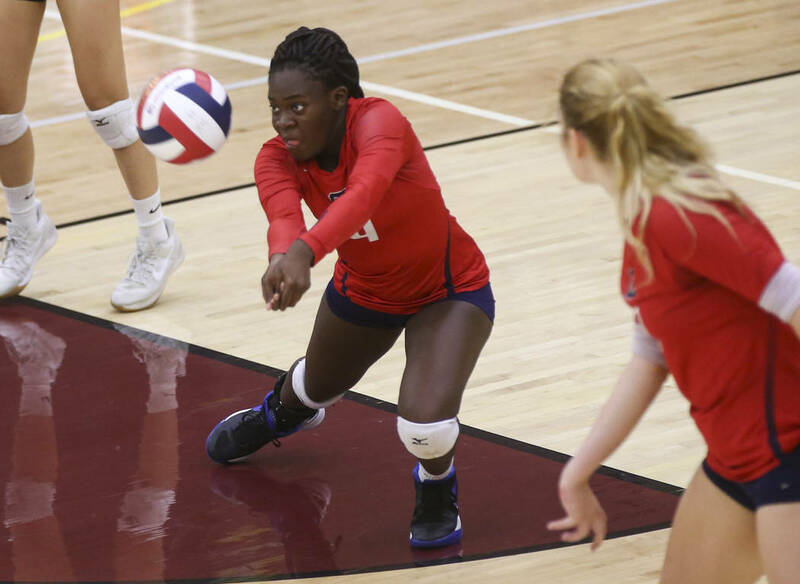 She had just made a serving error on game point in the fourth set, and admits she was “a little nervous” before taking the game ball. 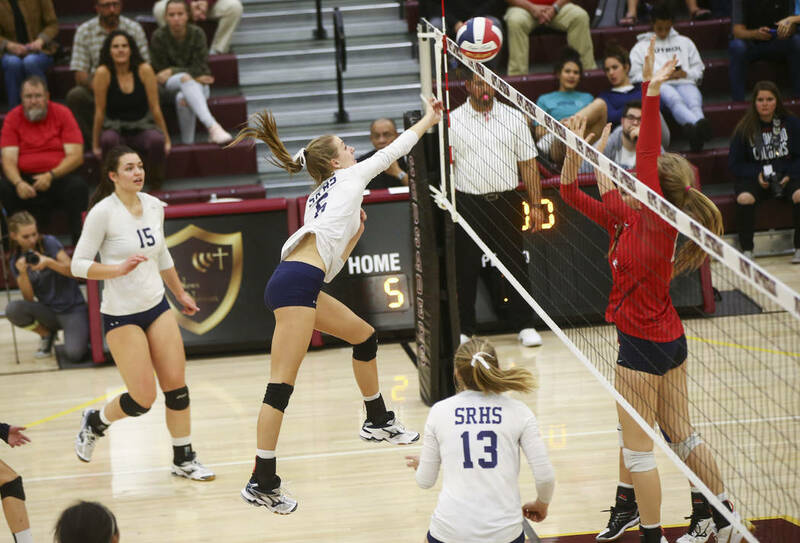 But teammate Madyson Lousignont shook the “heebie jeebies” out of her, and she went on to tie the game at 9. 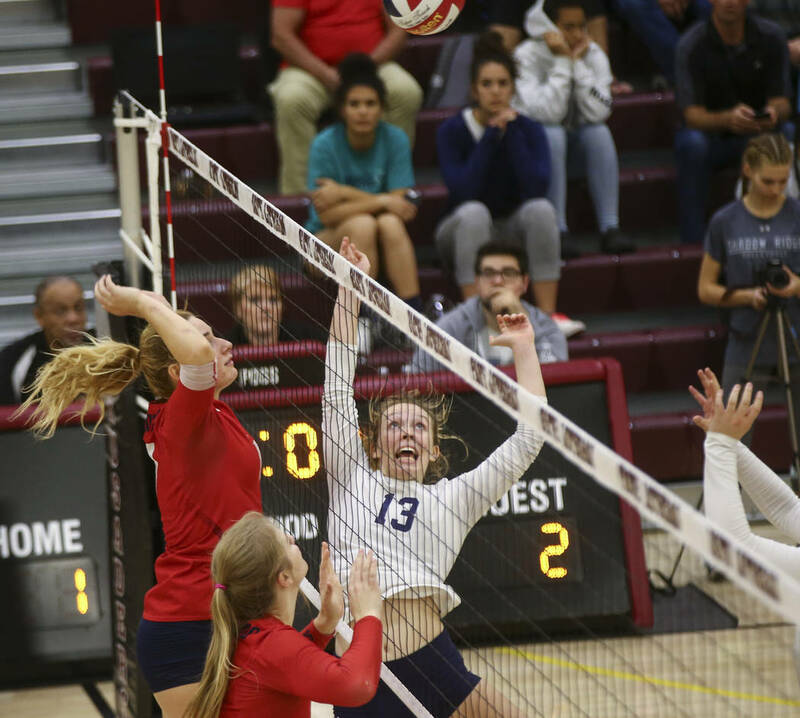 The Mustangs won the final two points on a serving error, and when Coronado junior Sasha Bolla’s attempted kill sailed long. 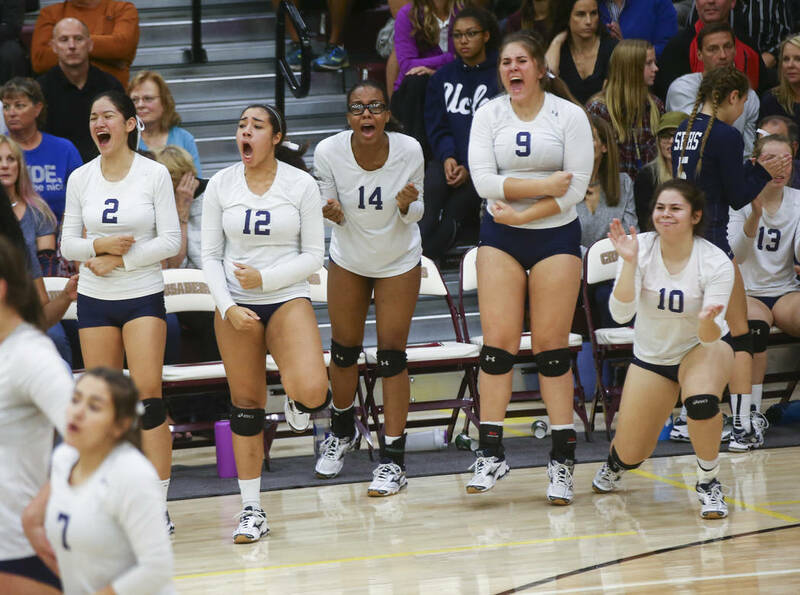 There were seven ties and four timeouts taken in the fifth set. 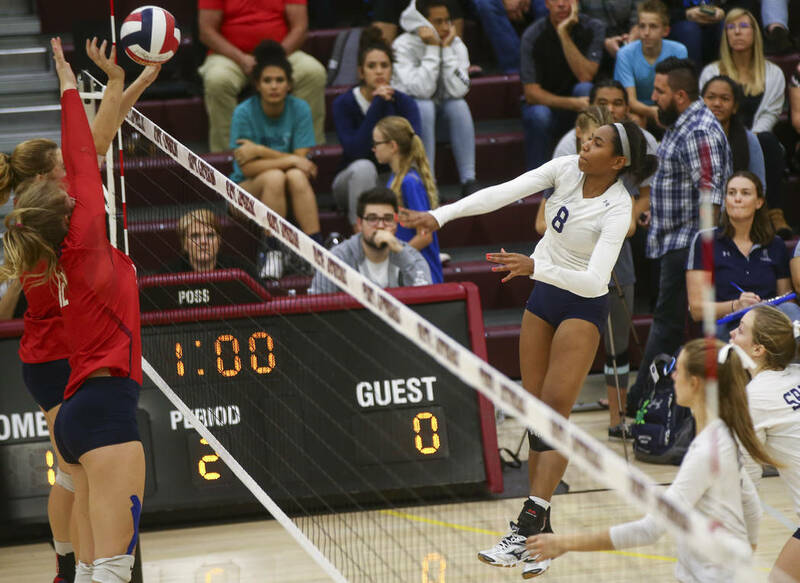 Nihipali finished with three aces and 19 digs. 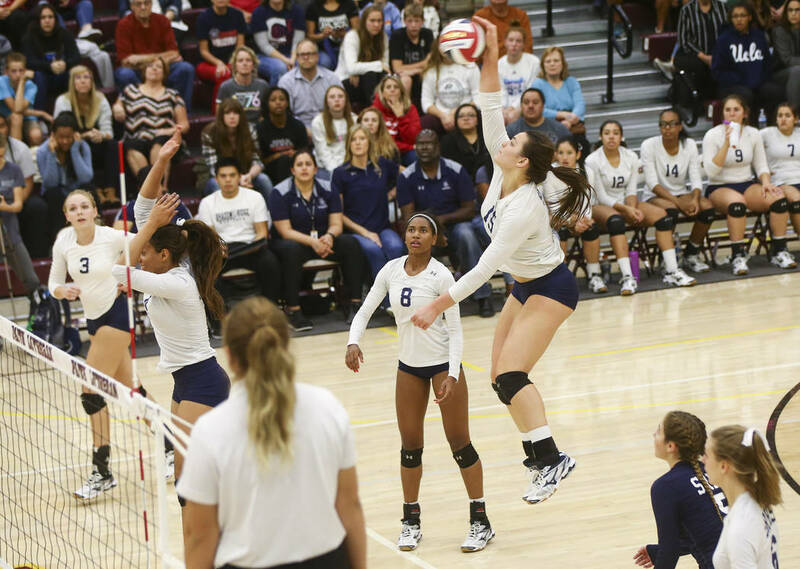 Her sister Natalie Nihipali added seven kills and seven blocks and was Shadow Ridge’s best answer in the middle of the court against the much-taller Coronado. 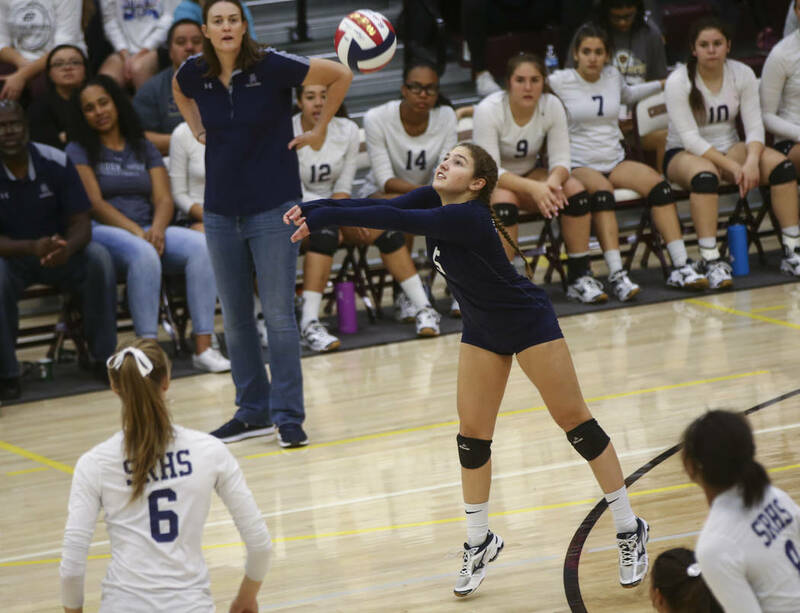 Kizzy Rodriguez had seven kills and 20 digs, and Autumn Spendlove had 34 assists and six digs for Shadow Ridge. 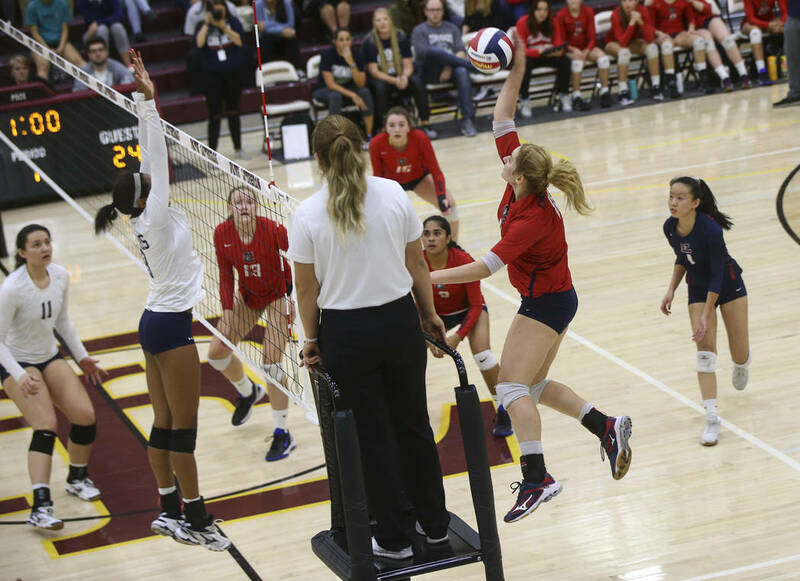 Madison Karcich had 17 kills to lead Coronado (27-10). 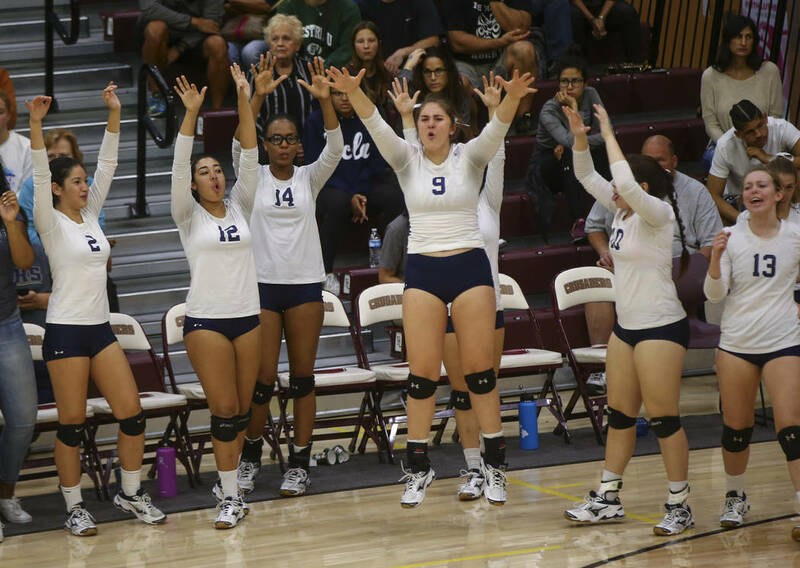 Bolla had 15 kills and four blocks, and Dallas Balanay-Flores notched 28 assists and 10 digs for the Cougars, who also got 16 digs from Megan Wang and 14 digs from Morenike Ajayi. 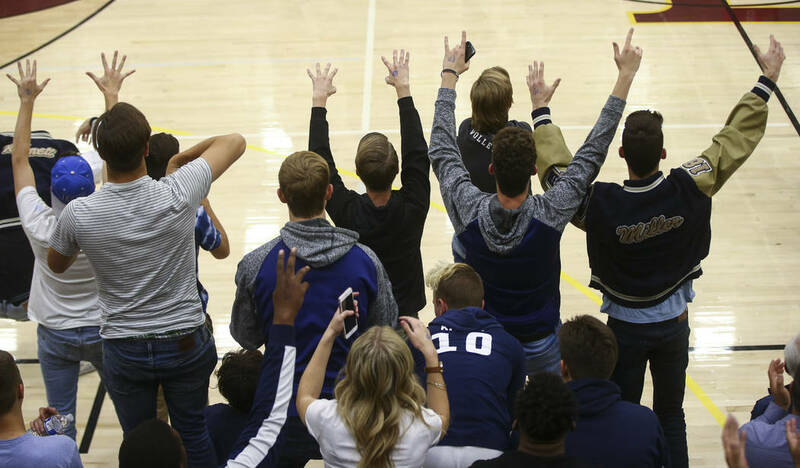 The match featured 27 ties and 18 timeouts. 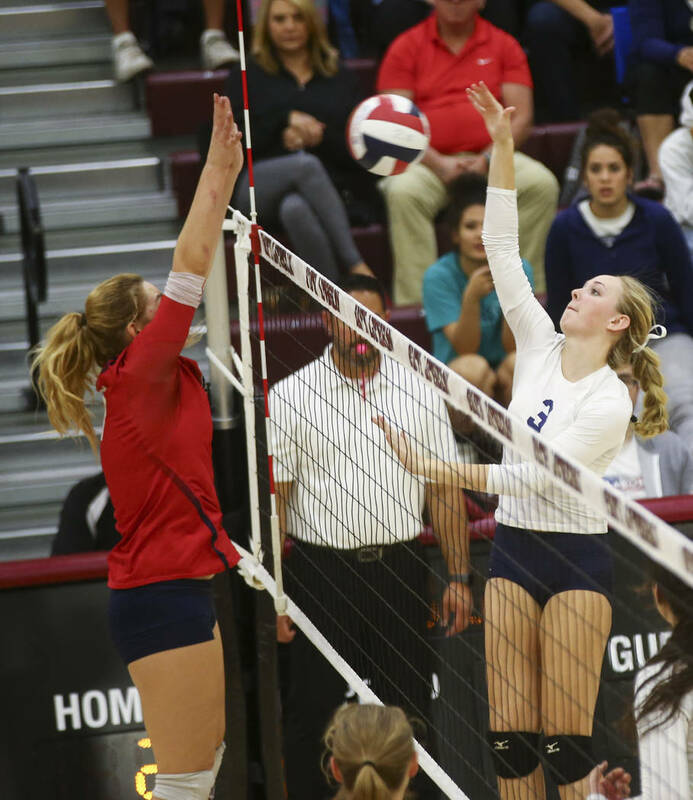 In the second semifinal, Tommi Stockham led the way with 11 kills, three aces and two blocks to lead Gorman to a 26-24, 27-25, 25-21 win over Bishop Manogue at Faith Lutheran. 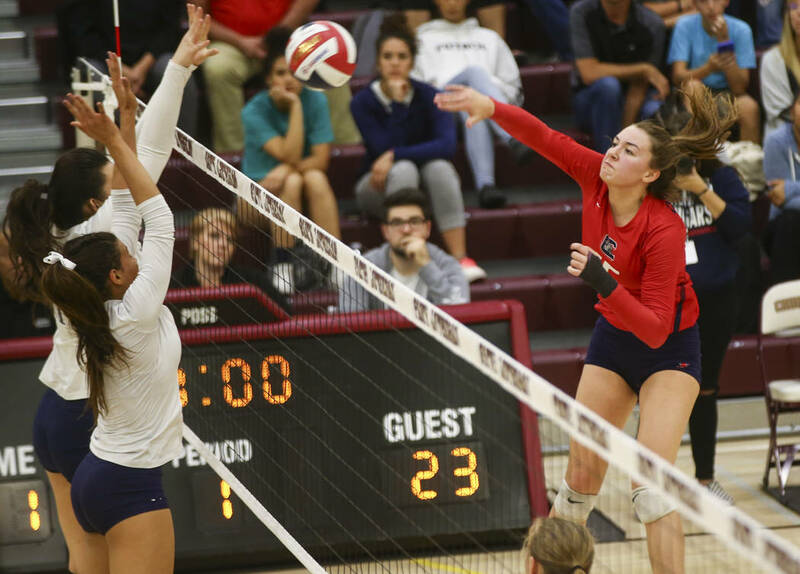 Alexandra Washington had six kills and two blocks, Kylie Gibson added nine kills, and Lilly Hoff had seven kills, 32 assists and two aces for the Gaels, who also got contributions from Sarah Lychock (one ace and 11 digs) and Reese Rossnagel (three kills, five blocks). 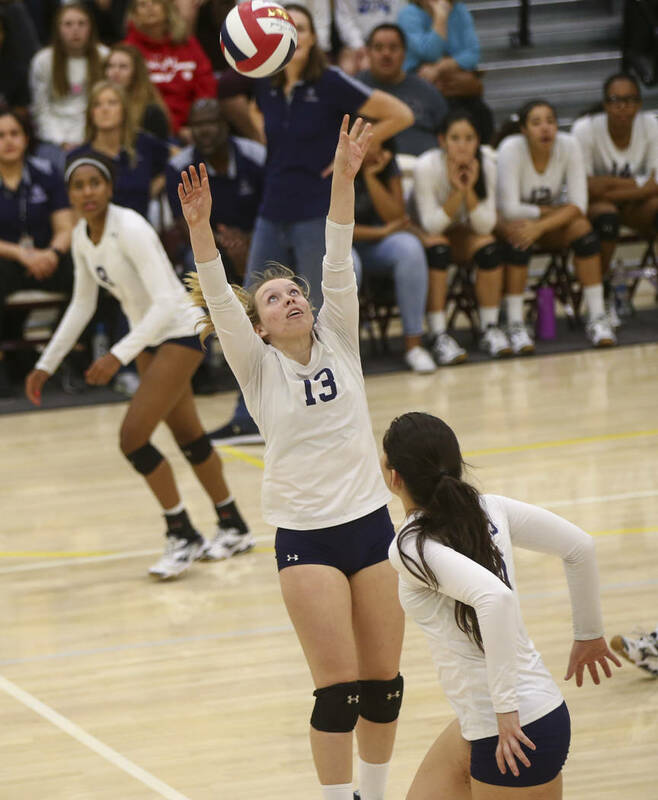 Freshman Angelina Starck, who finished with three kills and two aces, put down a monster cross-court kill in the third set for match point. 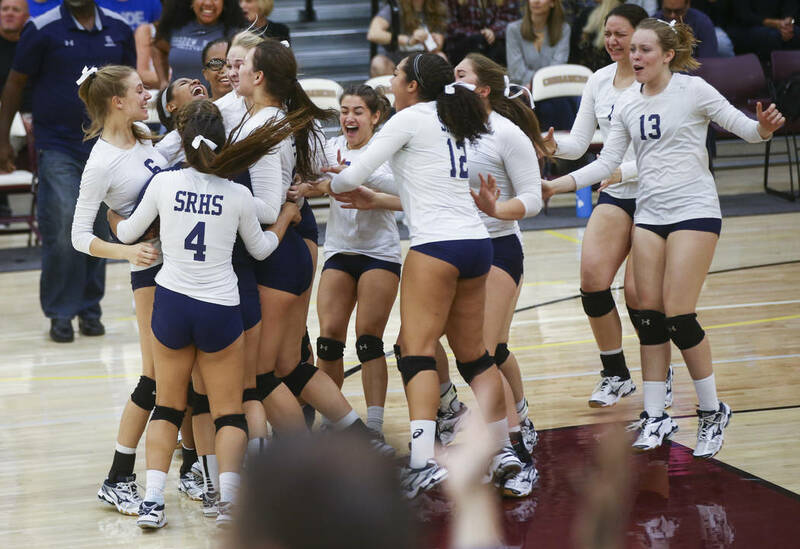 The Gaels have defeated Shadow Ridge three times this season, including a come-from-behind victory in the Sunset Region final last Friday. Van Meetren said his team was already anxious for the rematch. Bishop Manogue ended its season 28-6.